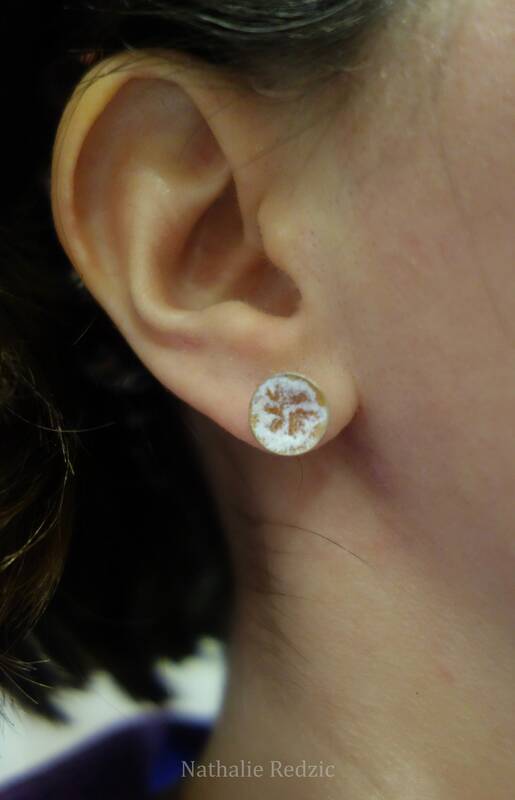 Pair of stud type earrings Floral silver with yellow salmon color enamel. 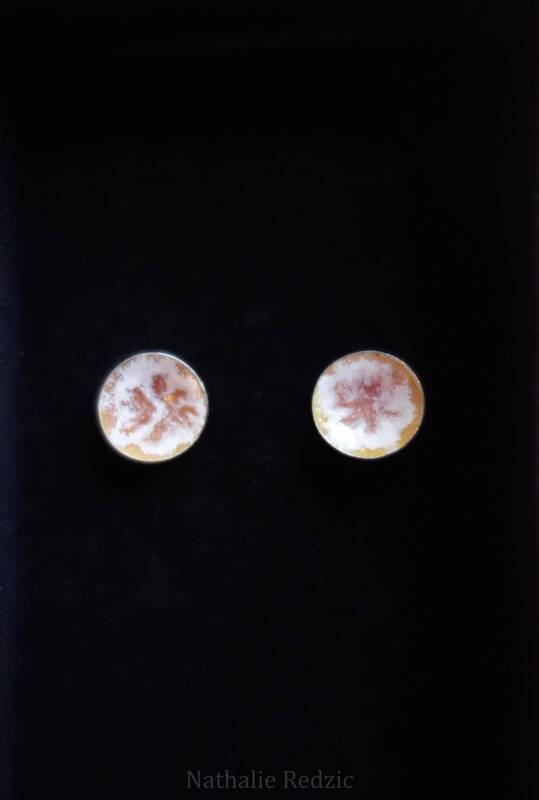 Pair of stud type earrings "Floral" silver with yellow salmon color enamel. 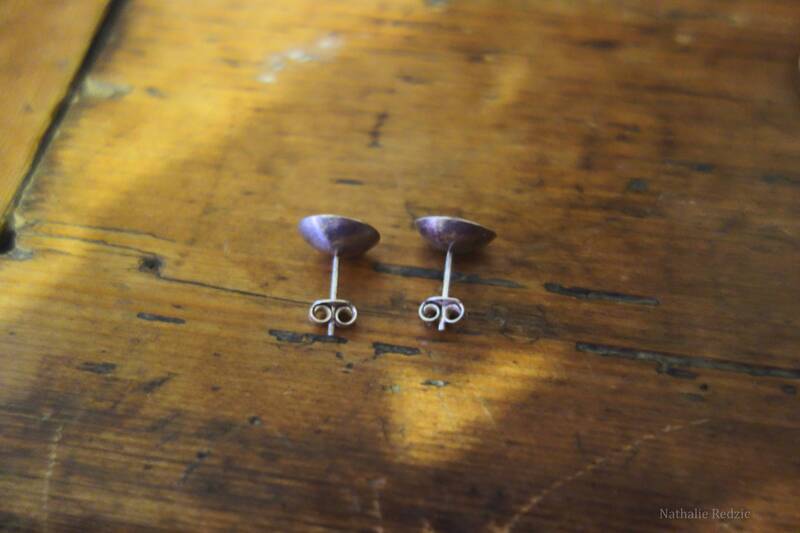 Pair of earrings, Stud Silver "Floral". They represent a corolla which is glazed with multiple firings on the inside. 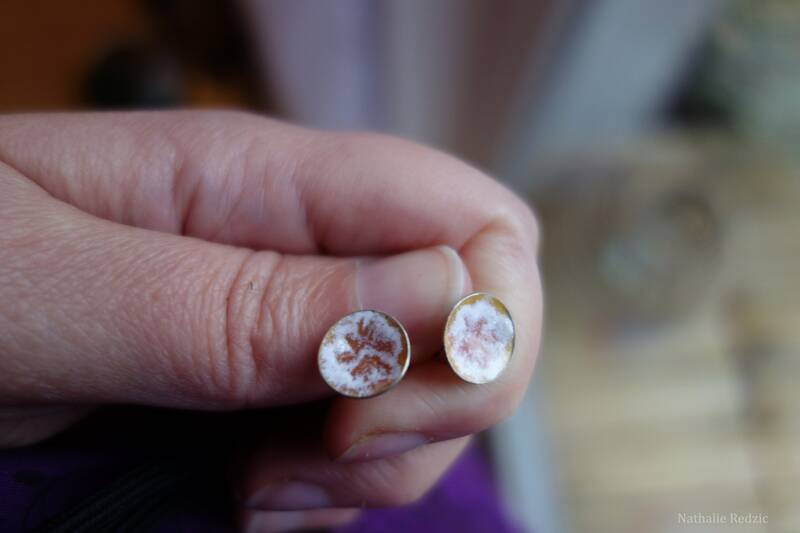 This pair of earrings is made entirely by hand, there is a slight difference between patterns after the glaze firing. This piece is unique.